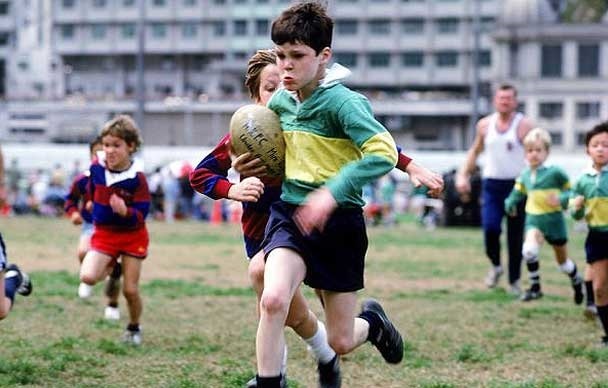 As with all sports, children’s rugby is the nursery for the adult game – children are crucial if the game is to have a strong future. Rugby, however, is a full contact sport and so has risks that are not present in other games. Safety is therefore a primary concern. Continuum Stage 1 – Known as mini tag rugby, this stage is for children aged under-7 and under-8 (year 2 and Year 3). There are five to seven players a side and points are scored through tries alone. There are no rucks or mauls, no scrums or lineouts and no tackling (players must be tagged). Continuum Stage 2 – This is called mini rugby and is for under-9s and under-10s (year 4 and year 5). There can be up to nine players a side and points come from tries. Tackling, rucks and mauls are allowed and there are three-player scrums and lineouts (not contested at under-9 level). 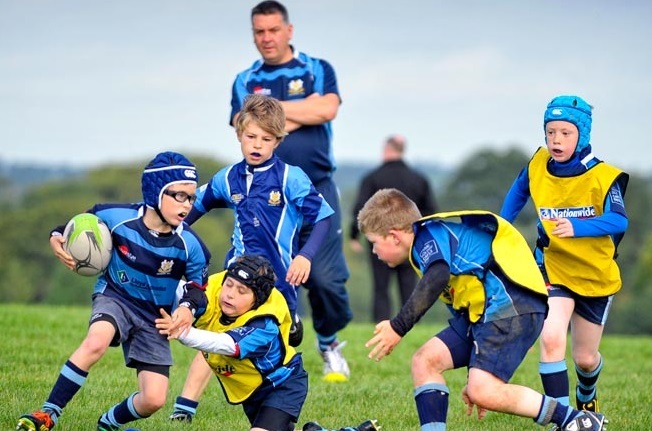 Continuum Stage 3 – This stage is known as midi rugby and is played by under-11s and under-12s (year 6 and year 7). Under-11s play up to 12 a side with five players in scrums. Under-12s have up to 13 a side with up to six players in scrums. To further promote rugby in schools, the Rugby Football Union has introduced an All Schools Programme, an initiative designed to bring rugby to 400 non-rugby playing state schools before the 2015 Rugby World Cup and up to 750 by 2019, joining the roughly 1,500 state schools that already play rugby. The programme provides resources to those schools that have linked to local rugby clubs around England. Prince Harry is a patron of the Programme and kit manufacturers Canterbury of New Zealand, which is a sponsor of England rugby, has invited participating schools to join its kit design workshops. There have also been initiatives to introduce rugby to children in the two to seven age range. Rugbytots, introduced in 2006, is one of the most popular programmes nationwide while Ruggerbeez, is popular in the London area. Littlestars Rugby, a Welsh programme was launched in 2011. These initiatives mirror similar programmes running in the southern hemisphere – in Australia the TryRugby Kids Pathway and in New Zealand Small Blacks Rugby are designed to introduce the game safely to children of primary school age. Rugby for the under-7s is gaining momentum in Britain and the Canterbury Kids Range is perfect for kitting out youngsters who want to play. There are boots specially designed and manufactured for little feet – as small as size 1 – and shirts and shorts in small sizes in the colours of some of their favourite teams. 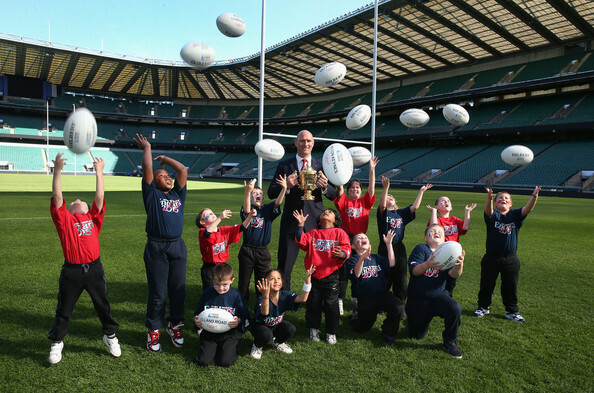 With the RFU and other initiatives making rugby more accessible in schools and to pre-school children and with the support of sponsors like Canterbury, more youngsters are taking up the game, which bodes well for the future of this growing sport.